I don't know why it took me so long to decide to do this, but let's be honest. It's about damn time. 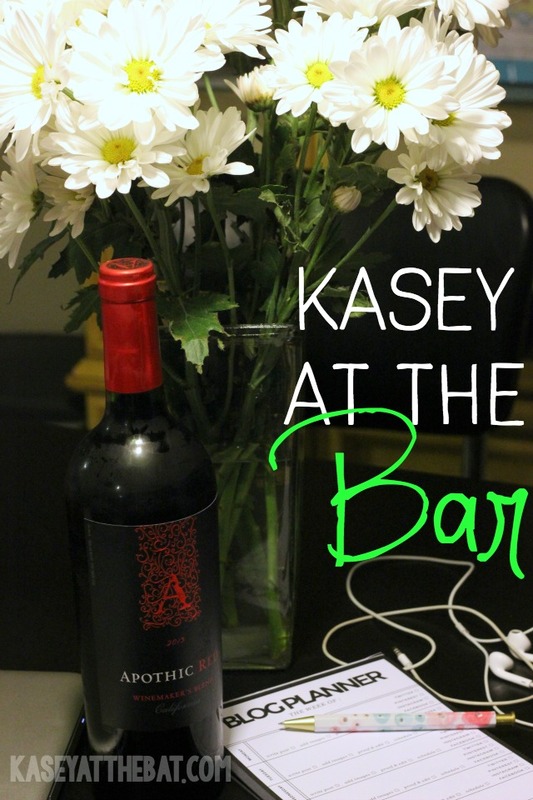 Welcome to the very first ever Kasey at to the Bar post! 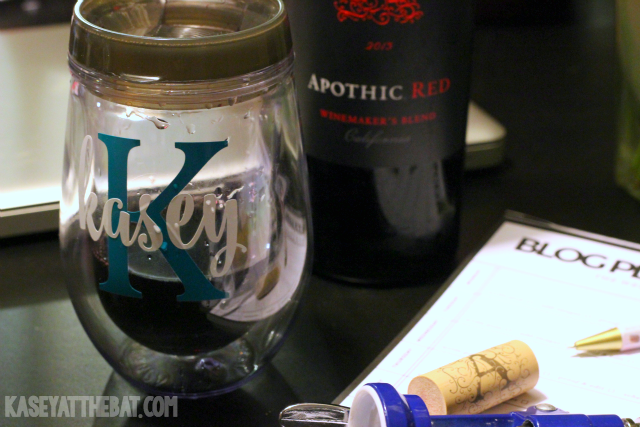 Today we're killing two birds with one stone, both the first Kasey at the Bar post + my very first cheap wine review. It's worth noting, no one paid me to buy this wine or gave it to me fo'free or anything. I bought it all on my own thankYOU. So, what we're going to try, this time at least, is a bulleted points on the deets of the wine (who makes it, where I found it, what I paid for it, type?) so here we go! Where did I find it? Murder Kroger! I like this wine because it's dry, but not like WOAH dry. There's a little bit of a spice to it too, but based on what I've read about blends (and figured out trial and error) since there are a handful of different grapes it's a muted spice. If that makes sense. This is a wine I would definitey buy again for the $3.99, and would consider buying it for the average price of $10.98 that Vivino is telling me it usually goes for. Have you tried the Apothic Red? What are your thoughts? Also, what are your thoughts on the very first ever wine review here? Would you like to see something else? Is there anything that I covered that seems unnecessary?